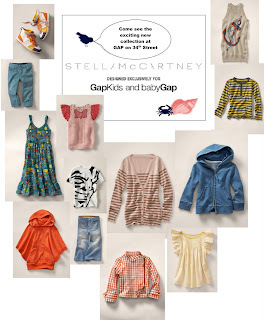 Yesterday I visited the Stella McCartney for GapKids at Gap Herald Square. Above is a selection of some looks available in the Herald Square store, and below are some of my picks. I love the collection, especially as a lot of it is unisex. 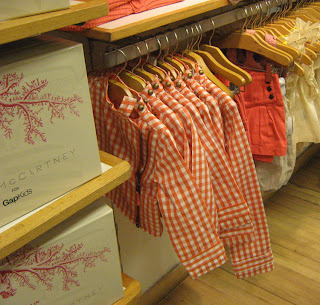 Baby Herald wears a lot of her nephew's hand-me-downs, so we're already wearing unisex. 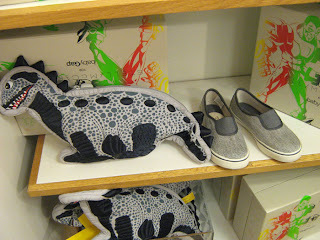 Here is perhaps the cutest espadrille ever ($40). 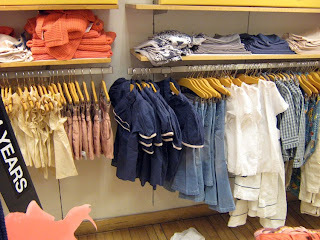 See the blue blouse with nautical-like stripes? Can't find it online. Two items I want: check jacket, $68, and butterfly sweater, $58. I just told a co-worker to get this for a baby shower: the dinosaur unzips and there are superhero pajamas (? or top+bottom) inside. I've got three nephews under the age of 8, anything dinosaur-designed is a big hit. 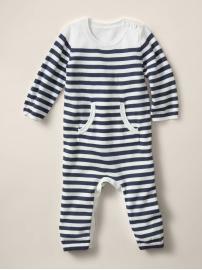 I would also get the striped one-piece ($48), it's drop-crotch! 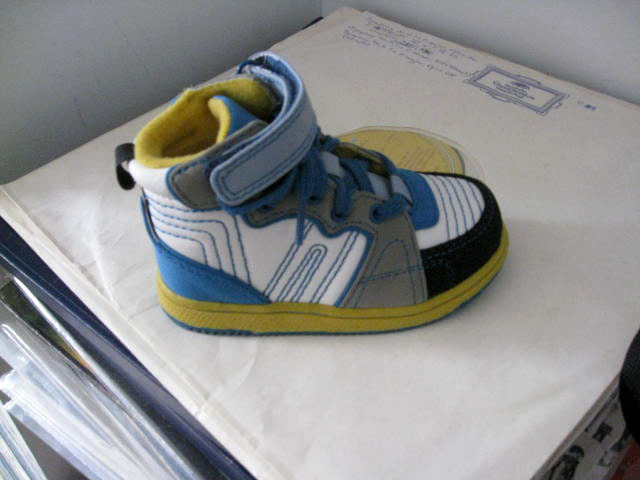 What I got Baby Herald: sneakers, below, from last season, on sale for $12.95. On the right are the sneakers for this season. 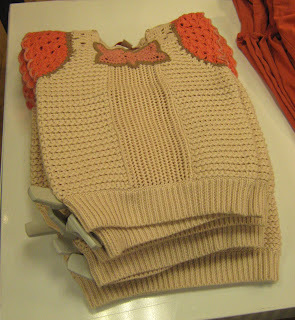 From what I hear, the anchor sweaters and the crochet dress are going fast. Also, the superhero T for the boys. Again, if you're interested in those items, I'd get to Gap Herald Square before the weekend crowds descend on Midtown Manhattan. LOVE the baby hi-tops! 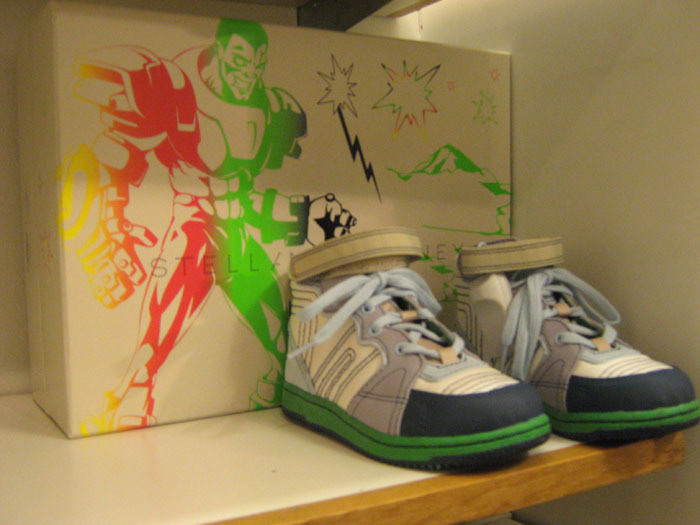 Like last season's better, too, I lucked out, they were the last pair. Oooh too cute! 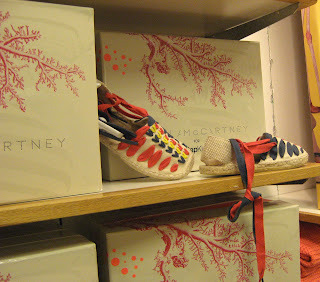 Makes me want babies (almost)! 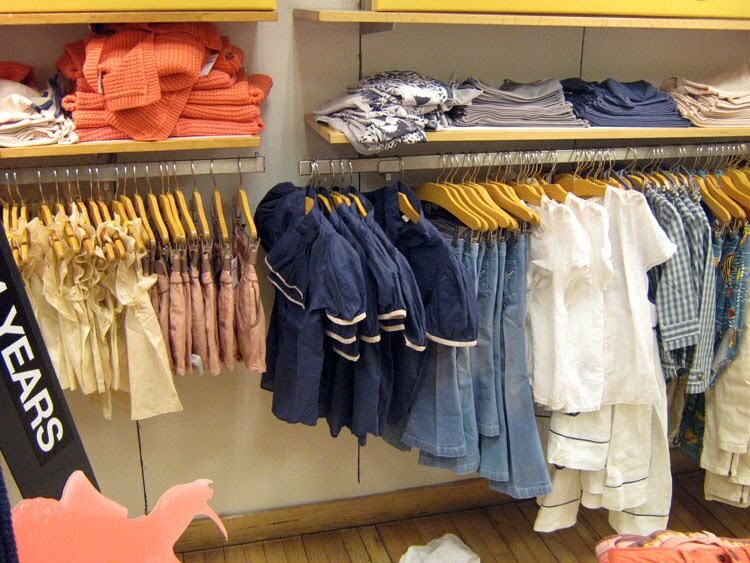 We need a baby FH fashion show! The crochet dress is absolutely TDF! !